Mom Entrepreneurs, Start Loving Your Business Again! Are you tired of struggling, working endless hours trying to build your little business into something that makes a difference for your family, rather than just sucking away all your time and effort? Become a member of the Love Your Business Again! community to access free resource for Mom Entrepreneurs that will help you expand your business. You’ll get access to training and done for you material that will help guide you on the path to success. 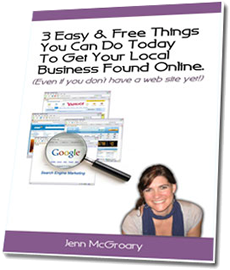 From how to go about planning out your website to learning what ways you might be missing out on income hiding in your business, you’ll find a wealth of hidden nuggets that will help you increase the profits in your business as well as free up your time. Please fill out the form below to get access to the free library. 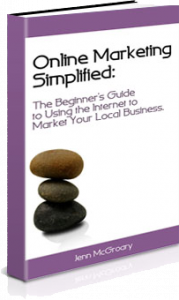 In this online marketing guide you’ll learn the basic online marketing strategies for marketing your local business online. You’ll get the PDF as well as the audio version of the book. 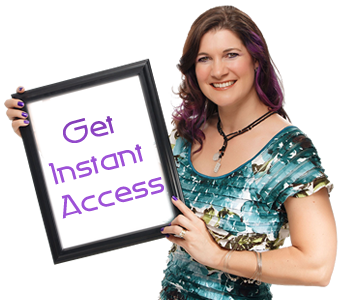 Whether you are just starting out or have been in business for a while, you’ll learn the specific, step-by-step system I take myself and my clients through to create a consistent, client attractive online presence, along with a marketing plan that shows you exactly where and how to reach your ideal clients and fill your pipeline with people who you love working with and get amazing results. Your website is a joint project between you and your designer/developer. In order to create a site that brings results, you’ll want to plan everything out ahead of time. Whether you do it yourself or hire someone else to help you with your website project, this planning kit will get you started in the right direction. 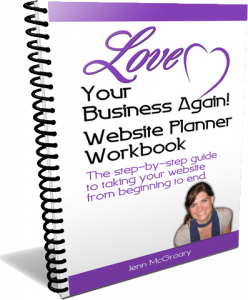 You’ll get the Website Planner Workbook – a step by step, fill in the blanks guide to walk you through the website planning process. Bonus – Website Prep Checklist – A quick checklist of what info to pull together to hand to your web designer before he/she starts your website project. 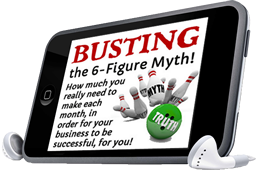 The 6-figure myth: How much you really need to make, to make your business successful, for you!Everywhere you go online, you hear about the need to build a 6-figure business in order to prove your success. But what if you don’t want to create a 6-figure business? I know for myself, I don’t have the desire to work the amount of hours or deal with the team that a 6-figure business requires. I know that many of you feel the same. Follow along as I uncover areas in your business that you could leverage to increase your profits without spending any additional money on advertising/marketing. This is a self-analysis workshop with an audio walkthrough and workbook.